Multi-door lockdown lock at the press of a button. Similar to the innovative QID™, Quick Intruder Deadbolt Lock, the LEXI™ Lockdown offers enhanced safety and security in larger multi-door spaces. While the multi-door lockdown lock functions as an everyday passage lock in the day, the exit devices can be deadbolted in case of an emergency. The intruder defense system signals green, white, and red to easily distinguish the lock’s status from afar. The LEXI™ trim retrofits all major manufacturers, allowing for a consistent and sleek aesthetic exterior lever. The LEXI™ Lockdown is 100% code compliant and focuses on the life safety and security of the occupants inside the room. 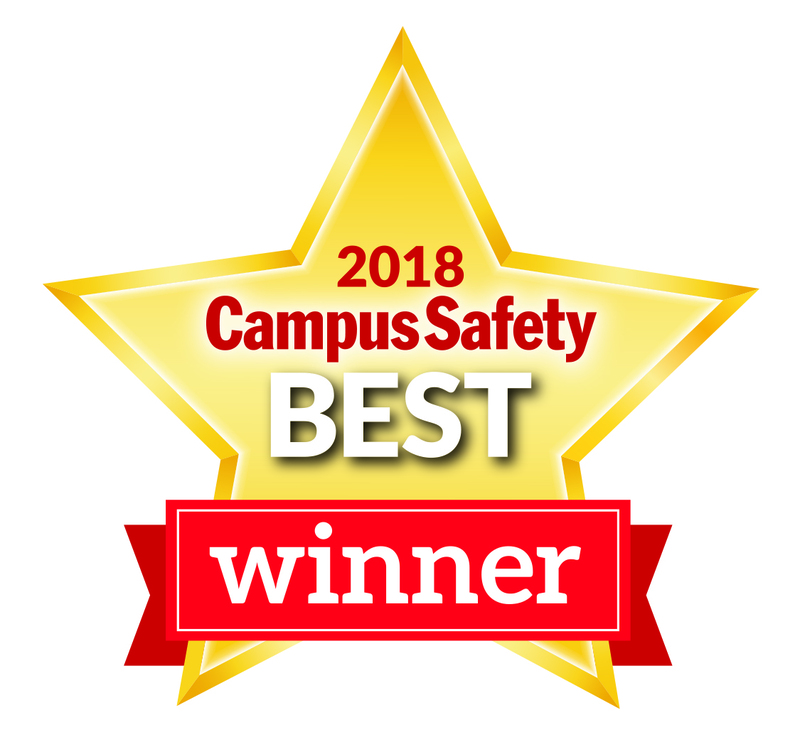 Can be applied as a School, University, and Office Security System. 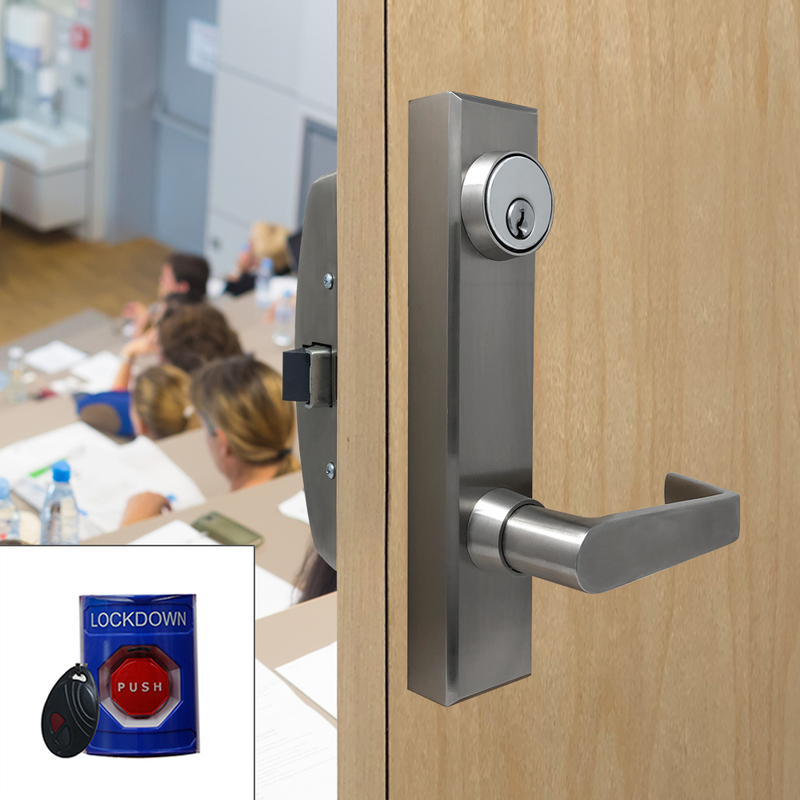 100% CODE-COMPLIANT SCHOOL LOCKING SOLUTIONS. No scrambling to find the key, and lock multiple doors, simply press the red button above the exit device, pressing the pendant, or by pressing the emergency lockdown button in case of an emergency.